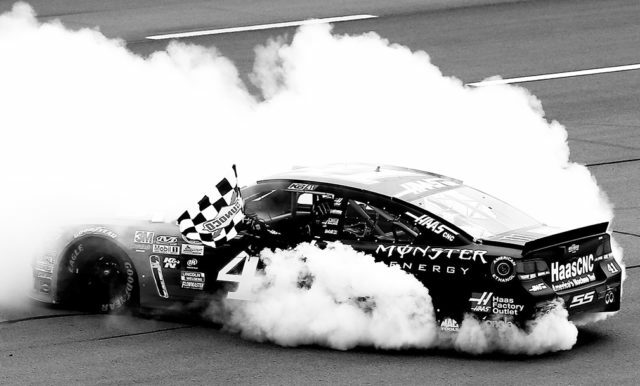 After being postponed due to inclement weather NASCAR’s Sprint Cup Series’ Axalta 400 at Pocono Raceway was won on Monday June 5 by Kurt Busch, driver of the #41 Haas Automation/Monster Energy Chevrolet. 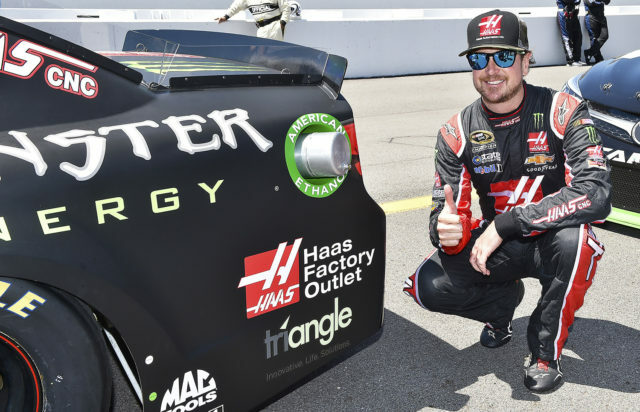 Triangle was at the race and on the car: as a preferred customer of Allendale Machinery, the Haas distributor for our area, Triangle was invited to include our brand mark on the vehicle. Haas Automation, located in Oxnard, CA, is the largest machine tool builder in the western world. They have been involved in NASCAR racing since 2002. Some of our Triangle associates were on hand for the Sunday rainout, including our President Dax Strohmeyer and his family along with Scott Van De Weert and Chet Parmese. But it was Scott who was on hand Monday to see Kurt Busch take the trophy for his team and bring Scott along for the ride! Scott was truly excited to meet many of the drivers and have access to very limited areas in the pits where much of the action takes place. And after the big win, he was allowed into the winner’s circle to attend all of the festivities with Kurt and his team.